WATCH What Happened to Celina Cass? A heartbreaking search for Celina Cass ended today when her body was pulled out of the Connecticut River, not far from her New Hampshire home. Her body was discovered about 10:30 a.m., but wasn't pulled from the water until about 5 p.m. Officials did not explain why it took so long to recover her remains. "We have brought Celina home, but not the way we wanted to bring her home," New Hampshire senior assistant Attorney General Jane Young said with a slight quaver in her voice. The body was pulled from the river about a quarter mile from the 11-year-old girl's home in West Stewartstown, a hamlet of only 800 people. 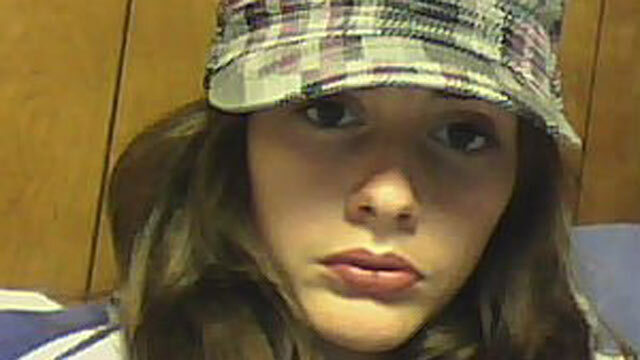 Young said the girl's disappearance has been reclassified as a criminal investigation. "We continue to investigate this case," she said, talking to witnesses and checking vehicles that were seen in the area. "We are looking at all facets of the investigation and that includes where she was last seen," Young said. Celina was last seen Monday evening, July 25, in her bedroom at her computer at the home where she lives with her mother, stepfather and 13-year-old sister. Since then, more than 100 searchers including the FBI, police from several states and the Royal Canadian Mounted Police have joined the effort. Celina's body was recovered around 5 p.m. and her body has been transported to Concord, N.H. for an autopsy which is scheduled for Tuesday morning. Authorities search West Stewartstown, N.H., Monday, Aug. 1, 2011. During the day, as the body was being recovered, crime scene tape went up around the Cass home and police were stationed outside. Relatives had gathered at the Cass home and could be seen crying. Wendell Noyes, the stepfather of Celina Cass, was taken to the hospital. The body was found on the New Hampshire side of the river, near the Canaan Hydro-Dam, according to ABC News' affiliate WMUR which reported crews were searching the area. The FBI recently offered a $25,000 reward for any information as to Cass' whereabouts and an anonymous citizen offered a $5,000 reward. The discovery came a day after Cass' father made an appeal to his daughter. "Come home. Whenever you are ready to come home, daddy is ready for you," pleaded Celina's biological father, Adam Laro. At one point, police said they intended to question each of the 800 people who live in tiny Stewartstown.